City staff made a presentation to Planning Commissioners at a study session on Sept. 26 regarding the status of the Tasman East Specific Plan. 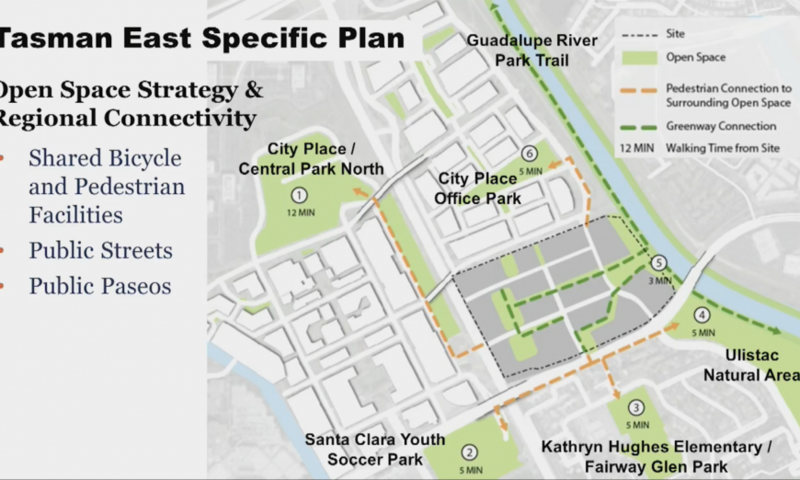 The Plan calls for a residential and mixed-use district in a currently industrial 45-acre area bounded by Tasman Drive, the Guadalupe River, the Santa Clara golf course and Lafayette Street. Eight development applications have already been submitted to the City for potential projects in the plan area by five different developers. If the Plan is adopted it would allow for a total of 4,500 housing units and 106,000 square feet of commercial space within the 45 acres as well as the creation of a “main street” along Calle Del Sol. The development applications submitted to date would yield 3,500 housing units and 50,000 square feet of commercial space. Of the 3,500 units, 500 would be below market rate. 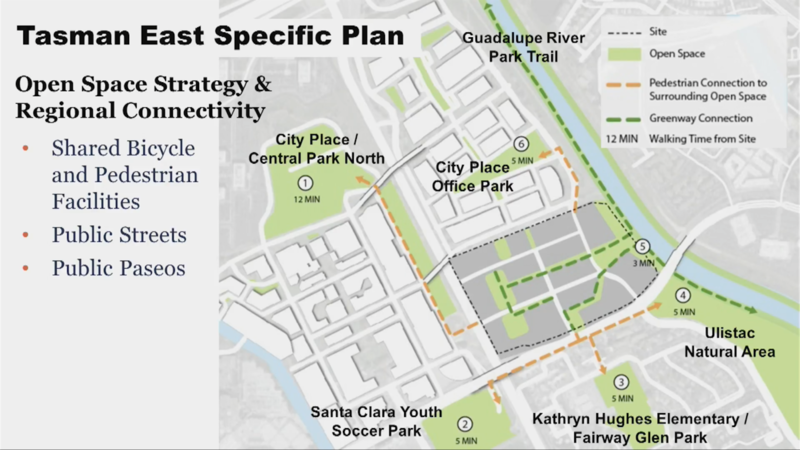 In addition to retail and public gathering spaces along Calle Del Sol, 10 acres of open spaces with lush landscaping would be scattered throughout the area with greenway spaces connecting each of the areas. Community amenities for the plan area include a community meeting space for each residential project, plus a more centralized community meeting facility and a bookmobile operated by the library system. So far five City Council study sessions have been held for the Plan that’s geared to create transit-oriented development with a placemaking focus just south of the City Place development. 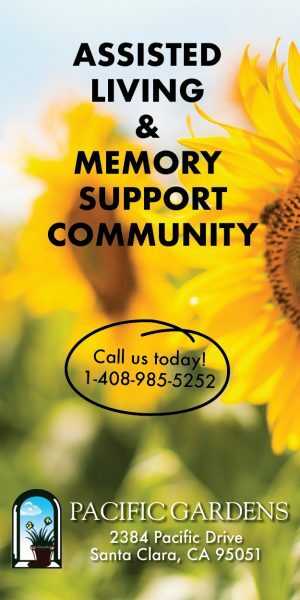 There have also been several stakeholder meetings, broader community outreach efforts about the Plan and circulation of the environmental review document to solicit feedback. Staff anticipate the final environmental review document to be ready by Oct. 12. A Planning Commission hearing on the plan in scheduled for Oct. 24 followed by a City Council hearing on Nov. 13. After the study session, Commissioners passed a motion to approve a use permit for an outdoor play area for a child care center on 1190 Benton Street. A question was raised about potential noise impacts from children playing outside, but City staff advised that regulation for noise from children playing is not something appropriate under state law. A community member voiced concern about traffic impacts in the area from loss of parking due to the play structure. The permit was ultimately approved by Commissioners with the condition that parents and staff of the day care center be directed not to park in unspecified spaces across the street from the center. Another use permit was approved to allow Planet Granite, a climbing and fitness facility, to create an outdoor bouldering area and indoor gym at 801 Martin Avenue. The 9.64-acre property is zoned for heavy industrial, and although the site formerly had a fitness center until 2013, the use permit expired. The Planet Granite facility was found to conform to the General Plan. “It’s something to do, it’s keeping people active and it keeps the youth out of trouble, which is a really key thing,” said Commissioner Anthony Becker. A spokesperson for Planet Granite explained that the company, which has multiple locations, supports programs for marginalized youth and donates some of its proceeds to organizations such as Outward Bound. Commissioner Yuki Ikezi lauded this aspect of the company. Other commissioners described the project as a great opportunity for the community and the motion to approve the permit passed unanimously. The outdoor bouldering component will utilize 3,736 square feet of space and include structures reaching 15 feet in height resulting in the loss of 10 parking spaces. The indoor fitness area will occupy 29,120 square feet. Future Planning Commission meetings may be held at 6 p.m. instead of the current 7 p.m. start time. Commissioners will likely vote on this proposed change following an outreach effort to solicit public feedback.